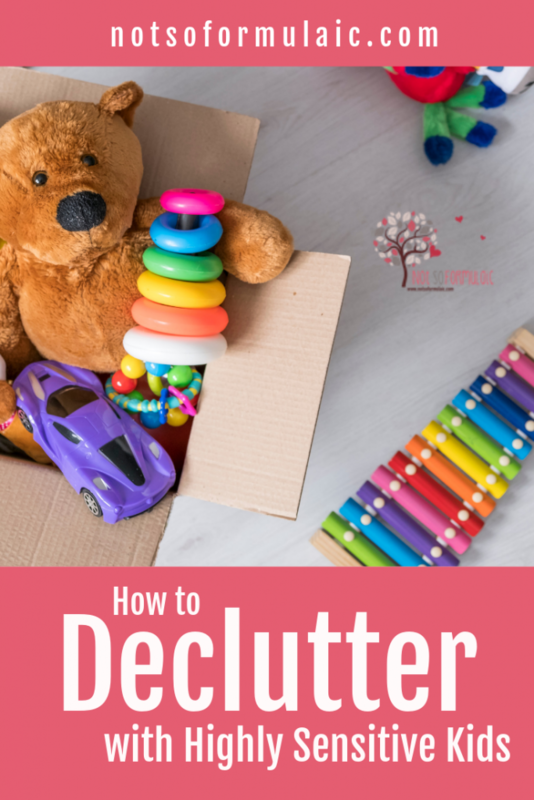 Are you trying to declutter, but you’ve got highly sensitive kids? Here’s the lowdown on KonMari, the popular decluttering technique, and how to adapt it for change-averse kids. I first heard of the KonMari method in 2016, two years after my youngest child was born. We’d reached max capacity in our tiny, supposed-to-be-a-starter-home townhouse. I was looking for a system that would help me pare things down. I was skeptical. While I knew that rationally, adopting a minimalist perspective to the accumulation of stuff is good for the soul, I had a hard time wrapping my head around the KonMari method – the system of organization Kondo espoused. A trip to the ER for the youngest a few weeks prior had spurred an interest in St. John of the Cross and his theory of detachment. But tearing pages out of books to keep only the words one likes? I was raised by a professional librarian. It was a sin to rip up and throw out books! So the KonMari method went by the wayside. Our family continued accumulating stuff. We bought more storage solutions and added to our library. Grandparents kept the toy bins well stocked. We adopted a baby grand piano. And then we hit critical mass. 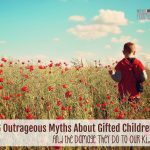 We are gifted, highly sensitive people. Three out of the five of us have serious issues with change. We’ve also got the tendency to ascribe sentience to a vast number of our belongings. Want to guess how many times I’ve had desperate conversations about donated stuffed animals feeling abandoned and betrayed? While we’re definitely not hoarders by any stretch of the imagination, we’re growing overwhelmed by the clutter in our home. 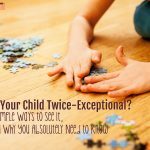 None of us excels in executive functioning, to begin with; add that to our tendency to cling to personal possessions and you’ve got a recipe for, well, untidiness. And so I found myself turning back to the KonMari method, trying to make it work in our home. I started with a fine-toothed review of Marie Kondo’s philosophy, paying special attention to the way in which it would impact the highly sensitive and change-averse. In some ways, the KonMari method promotes St. John of the Cross’s theory of detachment. In letting go of items we no longer use or find joy in, we can help our children shift their attention toward other people and God. To be frank, Kondo’s spirituality doesn’t jive with Christian philosophy. For instance, rather than thanking God for the blessing of an item, Kondo advocates thanking the item itself. 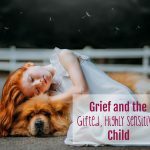 While this leans toward the superstitious and is something to consider, the idea is a good one (if modified to include gratitude to God) for children who are highly sensitive or imaginative. When clearing your home of items which do not bring you joy, the KonMari method advocates discarding everything all at once. For highly sensitive kids and those averse to any sort of change in their environment, this carries a high potential for anxiety-induced meltdowns. The KonMari method encourages you to only keep those things which “spark joy.” For a child who is highly sensitive or attached to his belongings (including the mummified piece of bubble gum he found last summer at the park), pretty much everything is going to fall into that category. Kondo insists that the method be followed to the letter, otherwise, the desired mindset shift cannot take place. After looking more closely at Marie Kondo’s method, I’ve determined it’s probably not for us – at least not in its purest form. 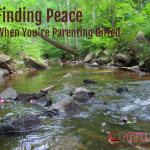 What I have learned, though, is that tidying up with a highly sensitive, change-averse child is possible. It just takes a bit of magic to make it work. I know – this might seem counter-intuitive. But when you are raising change-averse children, they need time to transition properly. Think about it this way. How often do you give warnings that a given activity is about to end? It’s the same sort of thing when we’re talking about decluttering. Our kids deserve a heads up about what’s happening. They need time to wrap their heads around it and prepare. Highly-sensitive, change-averse kids worry – especially about things and people they love. Choose worthy organizations and talk about what will happen to the things you donate. Help them see they will go to someone else who needs it more. When making moves to rid our home of excess stuff, I’ve noticed the longer it takes, the harder it is for my kids (and us). I take a page from Kondo’s book here and devote one day to a category. For instance, we go through all the books we have in the household (not a small task) and box up the titles that will be donated to the library. Talk about what it’s like to be overwhelmed and overburdened with stuff. Write your own story or put a favorite character in a similar situation. Explore the ramifications of holding on to too much stuff. This is perfect for a highly sensitive kid. It’s a ritual, and rituals are soothing for children who don’t like change. It develops a feeling of sameness and familiarity. I know lots of people advocate decluttering kids’ stuff while they’re not watching, but to me, this creates a serious breach of trust. 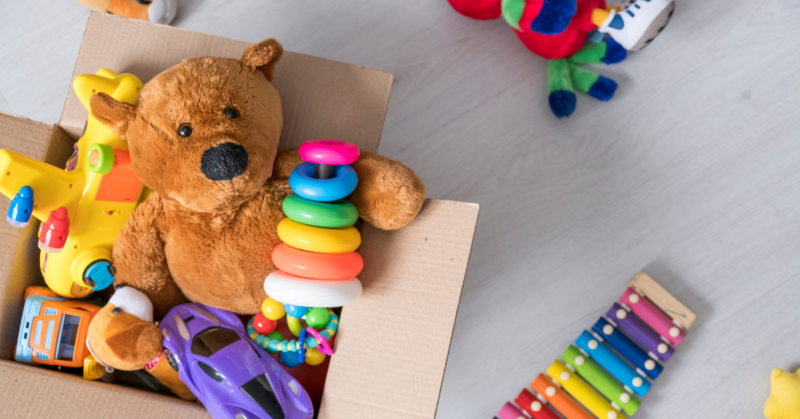 For a child who is highly sensitive and attached to her belongings, throwing out a toy without permission could be perceived (no matter how irrationally) as throwing out a piece of herself. While KonMari advocates tidying up in private, I say do it as a family instead. You’ll develop communication skills and gain a cleaner house in the process. 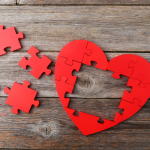 Tidying up with the highly sensitive is possible. The magic is in the trust and empathy you cultivate. When you let your kids know their feelings are valid and appropriate, you’ll have a much easier time of decluttering in the end.